Are you searching for the best WordPress plugins for ecommerce websites making and running it successfully then you are on right place. WordPress is a very easy and convenient platform to start e-commerce websites. Due to its popularity and extra beneficial features, most webmasters prefer WordPress as their primary platform. If you are starting an e-commerce website with WordPress then there are a lot of e-commerce plugins which will enhance and help improve your site specifications. In this article, we are going to mention the top 10 ecommerce WordPress plugins for your site. There is a WordPress theme provider with name my theme shop which offers so many good useful plugins also for improving website performance. Woo Commerce is a plugin by Woo Themes which transforms your site to an e-commerce store. The plugin offers a fully professional store with smart dashboard and widgets. It can also be customized the way you want and you can sell thousands of products through it. Shopp is integrated with over 50 payment processing services and it is completely a secure plugin. If you are looking for the best performance in your website then Shopp will enable it. A very old yet popular plugin which has helped webmasters achieve their goals. WP e-commerce is one of the best ecommerce plugins for WordPress which enables CSS and HTML customization and is integrated with a number of payment gateways. The plugin also has in built marketing tools for increased selling. Market press is a complete e-commerce solution for selling the A to Z products.To use Market press you doesn’t need any additional add-on or extensions because it is a full package for the e-commerce industry. Easy Digital Downloads is one of the best ecommerce plugins for WordPress which is a complete solution for selling digital products. It is a light plugin which is built for your convenience with multiple payment gateways and other important features. Turn your WordPress site into a dynamic e-commerce store with one of the top 10 ecommerce WordPress plugins. Jigoshop can be set up in minutes with a number of important features included in it. Cart66 Lite allows secure credit card processing and selling digital products integrated with Amazon S3. 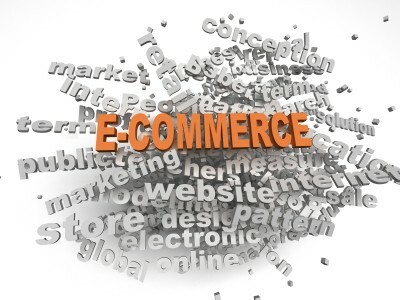 It is one of the easy to use ecommerce plugins that contains the entire specifications of the ecommerce industry. Social Coupon is one of the best ecommerce plugins for WordPress which easily allows you to integrate the social coupon system within the site. This helps users get instant discounts on the products and increase the number of visitors and buyers. IThemes Exchange has a simple and intuitive user interface where many features are split into extensions. This makes your site easier and simple to manage. Eshop is another e-commerce plugin which is enabled with the complete features including sign up option for visitors, downloading sales data, shipping options, multiple merchant gateways, secure payments and lots more. We hope you find these top WordPress ecommerce plugins very useful and they help you build a complete e-commerce platform.